Tata Motors has a new breed of cars waiting to be launched next year based on the Impact Design 2.0, which is an evolved version of the styling philosophy used in current crop of vehicles such as Tiago, Tigor, Nexon and Hexa. While the existing Impact Design helped Tata to make a stunning comeback and subsequent positive brand image that goes with in, the 2.0 has success written all over it. The homegrown brand vowed that the Impact Design 2.0 would enable several segment-first features. Heralded by the Harrier premium SUV, it is not hard to see where Tata is going with it. The new styling approach will be available in the upcoming Tata models such as 45X premium hatchback, H7X and beyond. In the foreseeable future, the smaller vehicle to adorn the trend will be the X445. 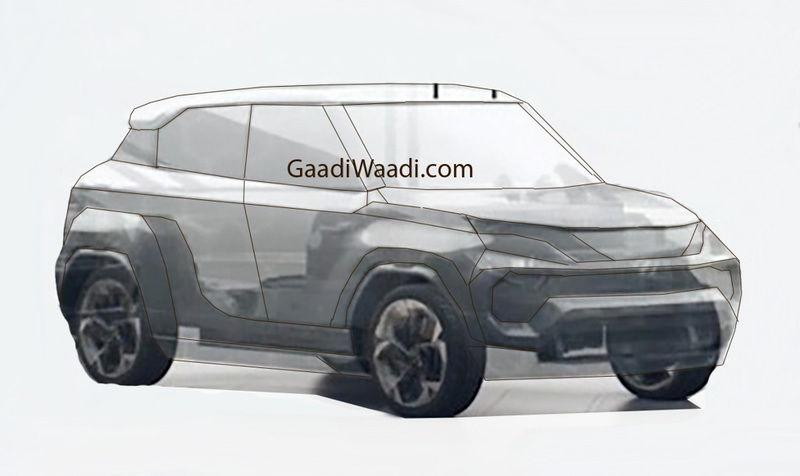 The codename X445 will spawn a production micro SUV that could be termed Hornbill. With us revealing its first ever spy picture, there is a lot more to talk about in this volume based vehicle. It will take plenty of design influence from the Baleno rivalling 45X (X451) but have its distinct SUV character like higher ground clearance, taller pillars, more upright front fascia as well as less raked roofline. 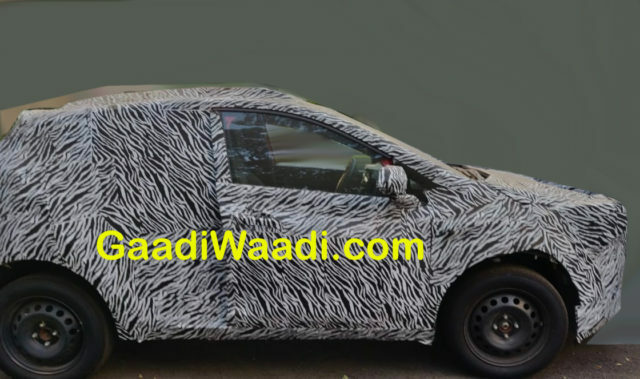 Tata appears to be in the preliminary stage of the Hornbill’s testing judging by the spy shots and it could launch towards the end of 2020 or in early 2021. It will tussle against Mahindra KUV100 that kick started the segment and the upcoming Concept Future S based Maruti Suzuki micro SUV. 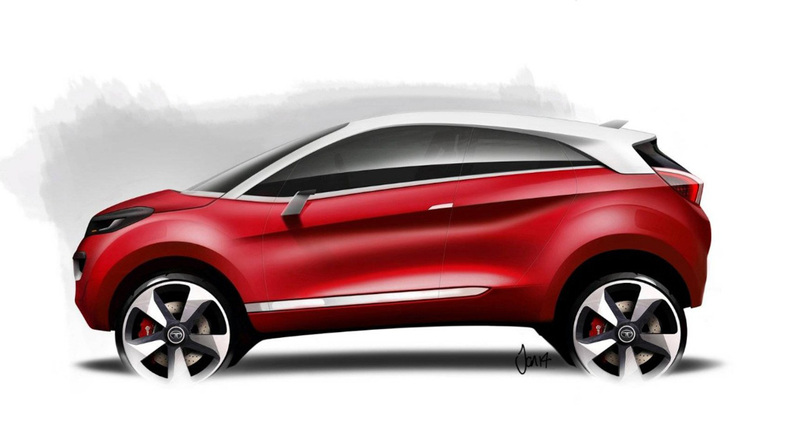 With several rivals reportedly in the pipeline, Tata could be trying to set a new benchmark in the segment with the X445. The company could use petrol and diesel powertrain options from the Tiago or elect to go with the micro-hybrid system reported for the 45X. With the diesel engines having a bleak future due to stringent emission rules, Tata might just stick with a petrol hybrid unit initially with BSVI compliance. Both manual and AMT gearboxes are expected to be on offer with the Hornbill. It will come equipped with a slew of standard safety features including dual front airbags, ABS with EBD, high speed alert function, speed sensing auto door lock, seatbelt reminder, ISOFIX mounts, etc. The range-topping variants should pack desirable equipment like touchscreen infotainment system with Apple CarPlay and Android Auto, Harman audio, push button start/stop and so on.